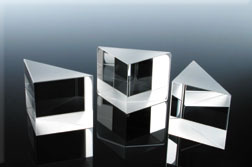 Optical Prisms are applied to redirect or refract light at an appointed angle. 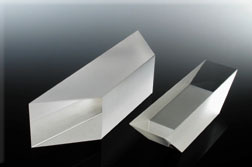 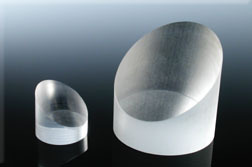 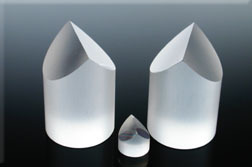 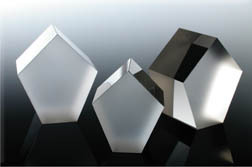 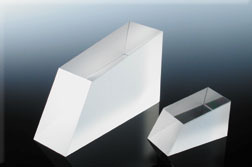 Precise angles between the (transparent and flat polished) surfaces would depend on the type of applications required. 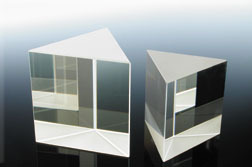 Therefore, its design is a determining factor of how the beams interact with it. 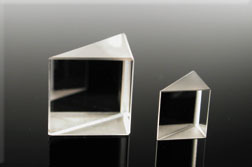 One of the most commonly used Optical Prisms is the right angle prism, which has its incoming light reflectance at 90 degrees. 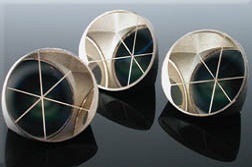 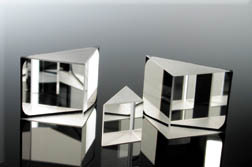 At Lambda Research Optics, we not only have a complete inventory of Optical Prisms, we also fabricate a wide range of them. 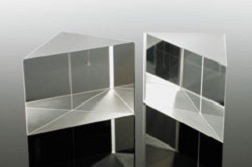 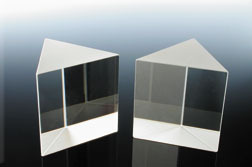 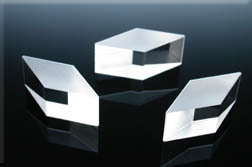 Compare the list of these different Optical Prism designs below and click to see more details on substrates and coating options.